The transformation occurring with mobility has a huge impact on every aspect of living. A large percentage of the population depends on mobile apps for daily. The fierce competition in the mobile industry cannot be overlooked, as more and more mobile apps are launched every day. Do every mobile app gets success? And another question arises, “how the success parameters can be measured”? The Mobile App Development and it's launching is hard for developers, as everyone expects great success like WhatsApp, Facebook, Amazon, and Uber. Well, for the similar successful app, the app must offer an overall performance. Making the right selection for the platform and integrating optimal feature - is crucial. 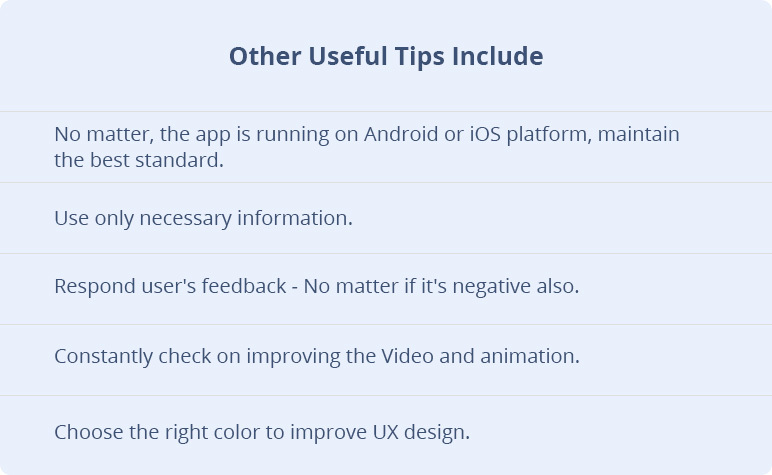 And of course, the user experience is equally important as it will reflect the idea whether the app poses feature and capability to attract a huge user base. In this blog, let's provide an insight "how the user experience can make difference". Navigating through the apps becomes easier with the user experience, and it's an important point to note. When you consider UX design, navigation is the most essential aspect of iOS and Android App Development. This must be faster and easier to use so that users are easily satisfied. Informative screen tour will be a bonus, for the first time users, and ultimately reduce the churn rate of the app. Improper navigation makes it difficult for users. While deciding the platform to build the app, it necessary to understand the target audience. Knowing the audience provides a deep insight into the features that play a crucial role while designing the app UX. Further, the reviews and ratings of similar apps can give the idea. 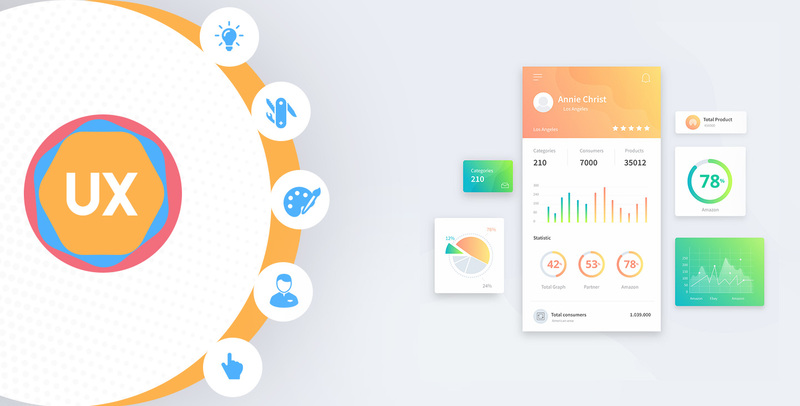 With interactive design, the app designer pays attention to developing attractive web interfaces and perform creative imagination in the process. it is further advanced to use the latest technology and trends to get best outputs. Nowadays, the sign-up process has become an essential process of an app, where users need to feed name mobile number along with a secured password. But, the thing is, not all users may be tech-friendly. Therefore, while the development process, the developers must take care to design a friendly registration process. Feeding the necessary information should be done for creating information. Further, additional information can be kept for the later stage while using the app. As we know the major platform chosen by most of the mobile app developer is iOS and Android, as this platform comes with their own set of advantages. Well, for the development of a particular new app, the mobile app development company in uk must research various areas such as smartphone users in that particular region, apps category, potential users and etc. Hence, once you have all the required analysis done, it becomes easy to decide the right platform that can certainly help in the business growth. In case, your users base is international, then considering Android App Development Company can help you gain the edge. However, iPhone has a strong influence in western countries like US and UK. Creating Android ensures large user base around the globe but the iOS provides excellent potential for targeting the high-income users in the global market where the developers can achieve high ROI. Both have different goals to achieve, so decide wisely. 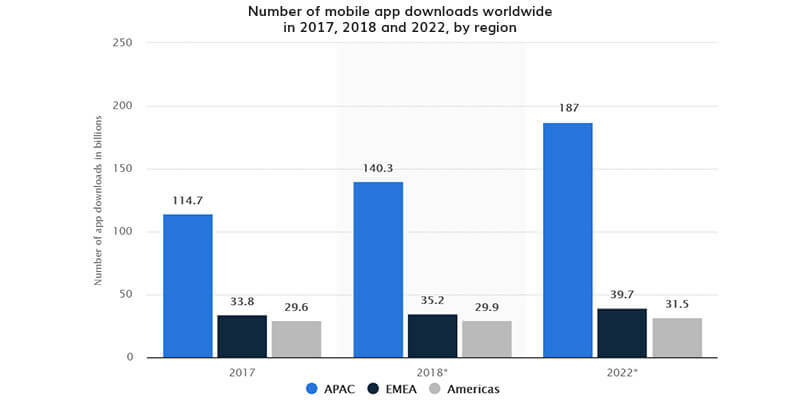 This statistic presents a forecast for the number of mobile app downloads worldwide in 2017, 2018 and 2022, sorted by region. Further, according to statista, the number of mobile app downloads expected to soar in the future, app stores are expected to meet the demand for the number, quality, and range of apps depending on customers requirement. 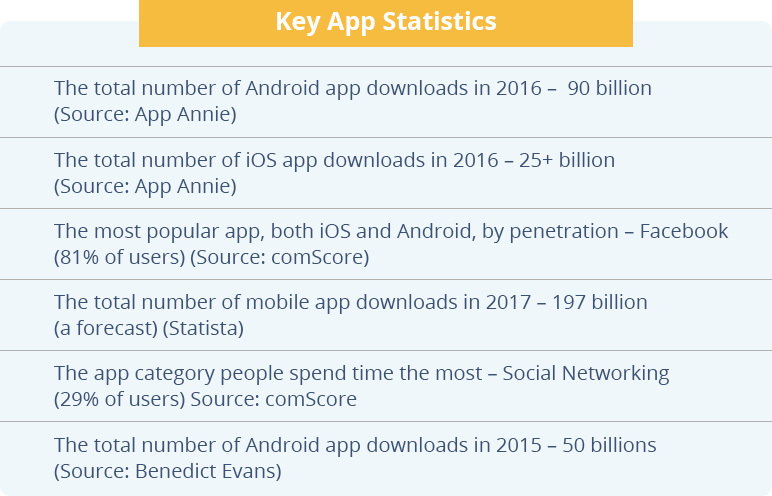 As of April 2017, the number of apps available in the leading app stores was recorded for comparison. As of that month, customers could pick from Google Play’s 2.8 million available apps, a figure which made it the world’s leading app store. Apple’s App Store was ranked second with slightly fewer, yet still impressive, 2.2 million apps. Note: The success of an app’s appeal can be determined by its audience hit. Facebook, Facebook Messenger, and YouTube were the leading U.S. mobile apps by reach as of December 2016. Five out of the top ten mobile apps were published by Google. In the current scenario, the impact of technology can be seen in every sector. Every enterprise is aware of the significance of implementing technologies in their business. The growing demand and popularity of Smartphones and mobile apps have clearly indicated that companies are all set to become digitally literate. It is a mobile app SDK introduced by Google. With this, it is possible to create mobile apps for the operating systems, Android and iOS. Only a single code is required while developing apps using Flutter. Being a new entrant in the Cross-platform App Development, it is gradually getting recognition among organizations. Dart is its programming language. It is an open source and a pragmatic programming language for the Android and JVM. It combines functional programming, as well as object-oriented features. This language is focused on interoperability, clarity, tooling support, and safety. After the Internet, Blockchain has taken the position of the most disruptive technologies globally. It has become one of the key topics to discuss among entrepreneurs. Many mobile app developers are thinking to implement this technology in their mobile apps to make them more advanced. IoT is another useful and incredible technology that can bring a change to the mobile app development companies. It can make these apps dynamic and innovative. Many organizations are working on deploying IoT for their application development. The evolution of every industry is important and just like any other industry, innovative technologies make mobile app development sector advanced. Considering the transformation.